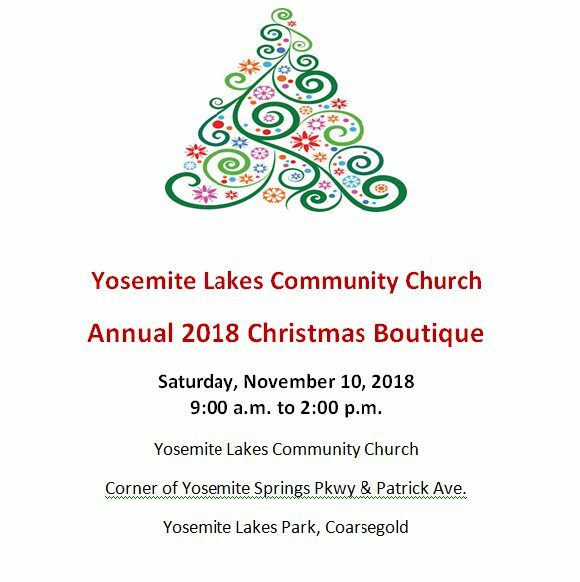 Annual 2018 Christmas Boutique at Yosemite Lakes Community Church; 43840 Patrick Ave, Coarsegold. All items for sale are handmade. Items for sale include handcrafted items, homemade baked baked goods and more. Raffle includes a queen size handmade quilt and other prizes. Raffle and luncheon tickets available at the event. All proceeds go towards supporting local and national charities.